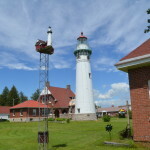 Escanaba quickly became one of the most important towns and ports in the Upper Peninsula in the 1860s, and sandbars in the Little Bay De Noc made it necessary for a lighthouse to be constructed. 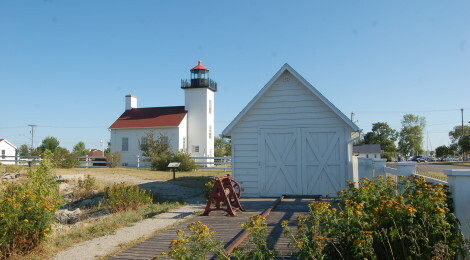 The Sand Point Lighthouse was constructed in 1868, and renovations in the 1980s and 1990s by the Delta County Historical Society have returned it to the look of that time and opened it to the public as a museum. 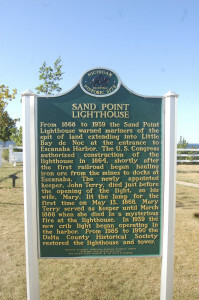 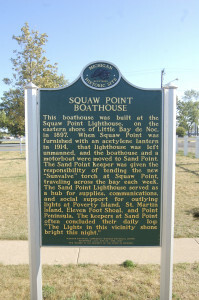 From 1868 to 1939 the Sand Point Lighthouse warned mariners of the spit of land extending into Little Bay de Noc at the entrance to Escanaba Harbor. 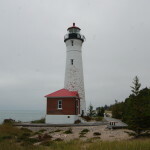 The U.S. Congress authorized the construction of the lighthouse in 1864, shortly after the first railroad began hauling iron ore from the mines to docks at Escanaba. 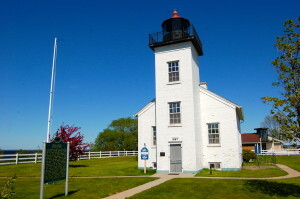 The newly appointed keeper, John Terry, died just before the opening of the light, so his wife, Mary, lit the lamp for the first time on May 13, 1868. 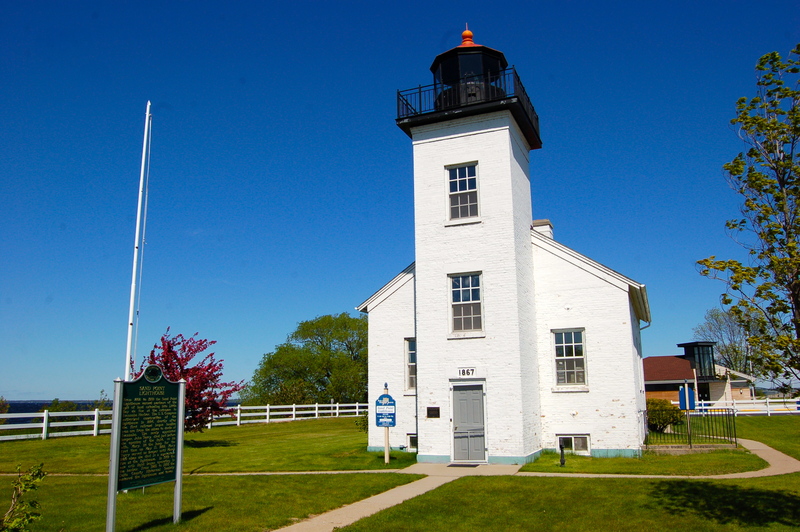 Mary Terry served as keeper until March 1886 when she died in a mysterious fire at the lighthouse. In 1939 the new crib light began operating in the harbor. 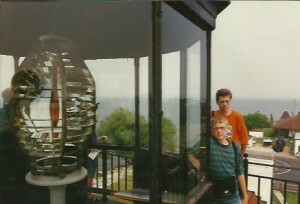 From 1985 to 1990 the Delta County Historical Society restored the lighthouse and tower. 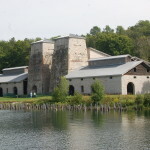 Tours of this building are available from Memorial Day through Labor Day, from 11 a.m. to 4 p.m. daily. 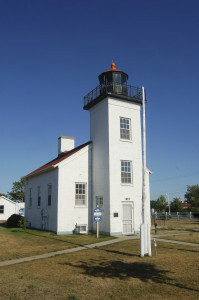 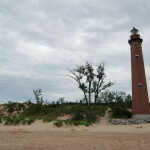 The lighthouse is located at 16 Beaumier Way, and is easily reached from US-41/US-2 by taking Ludington St. through downtown to its end near a park with plenty of parking for the lighthouse. While you’re in the area, consider stopping in at Hereford & Hops for a burger and some beer, and be sure to pick up some beer from Upper Hand Brewery at any one of the many local retail outlets.